From 1947-1959, the Dodgers won seven National League pennants and two World Series championships. The Hall of Fame recognized the team’s greatness, inducting the team’s captain, second baseman, and center fielder. While Pee Wee Reese, Jackie Robinson, and Duke Snider have plaques in Cooperstown, Gil Hodges, a highly productive and respected cornerstone of those championship teams, is on the outside looking in. There’s a great deal of statistical support for Hodges. Because his career ended long before the steroid era and its gaudy numbers, it’s important to look at him through the lens of his own time. 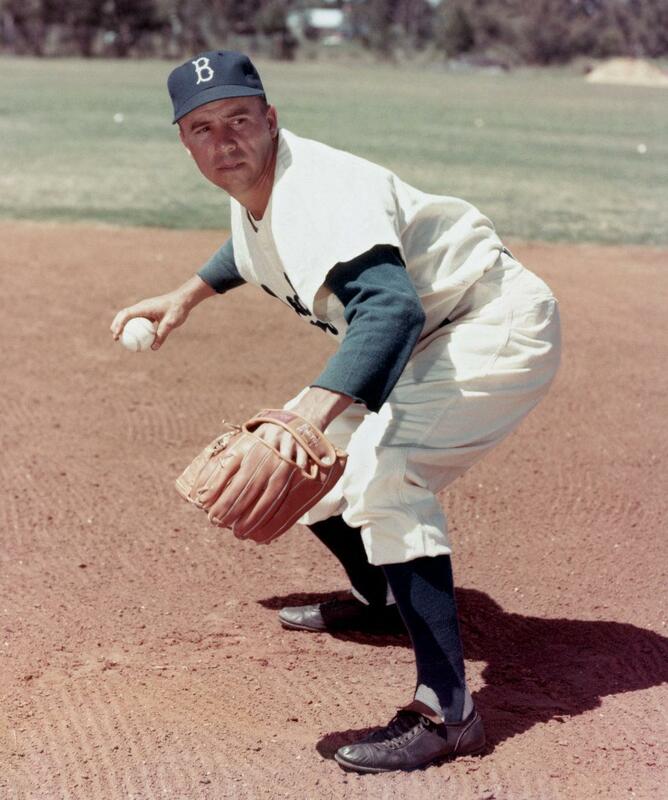 During the 1950s, Hodges was the premier first baseman in baseball. The three-time Golden Glover led all first sackers in hits, runs, homers, total bases, and runs batted in during the decade. Toward the end of his career in 1962, Hodges briefly ranked 10th on the all-time home run list and at one time, the eight-time All Star had clubbed more home runs than any right-handed hitter in the history of the National League. The case for Hodges goes well beyond the numbers. The glaring inconsistencies in Hall of Fame voting make the omission of Hodges more puzzling. In 1969, the first year he was eligible for election, Hodges received 24.1% of the vote. No less than seven future Hall of Famers finished behind him. Over the next two voting periods, five more players who eventually gained induction received less support than Hodges. Particularly baffling is the case of Bob Lemon. In his first six years on the ballot, Lemon never received as much as 17% of the vote. Each of the next six years, when Lemon and Hodges appeared on the ballot together, the former Dodger far outpaced the Indians’ hurler, surpassing the 40% mark in five years, and the 50% mark in three. Then, in the 1970s, the two men took very different paths. A few months after Lemon was the named A.L. Manager of the Year, Hodges suffered a heart attack and died. Lemon’s star continued to rise first as pitching coach for the Yankees, then as the team’s skipper. Three years after Hodges death — Lemon’s 13th year of consideration — the voters inexplicably changed their minds and rated the 207-game winner ahead of Hodges. In 1976, Lemon was voted into the Hall of Fame with 78.6% of the vote. 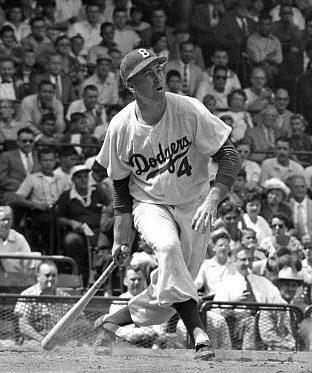 The voting patterns for Hodges’ Dodger teammate Duke Snider, raises more questions. From 1970-1977, Hodges received 611 more votes than Snider. Then the writers reversed course. From 1978 until his election in 1980, Snider was named on 141 more ballots than his former teammate. What happened that change their thinking? By Opening Day 1978, Hodges had been gone for six years while Snider was entering his sixth season traveling to the National League parks and interacting with the writers who vote for the Hall as an announcer for the Expos. It seems Hodges biggest mistake was dying too soon. Every year he was on the ballot, he finished ahead of men who would eventually gain admission to baseball’s shrine. 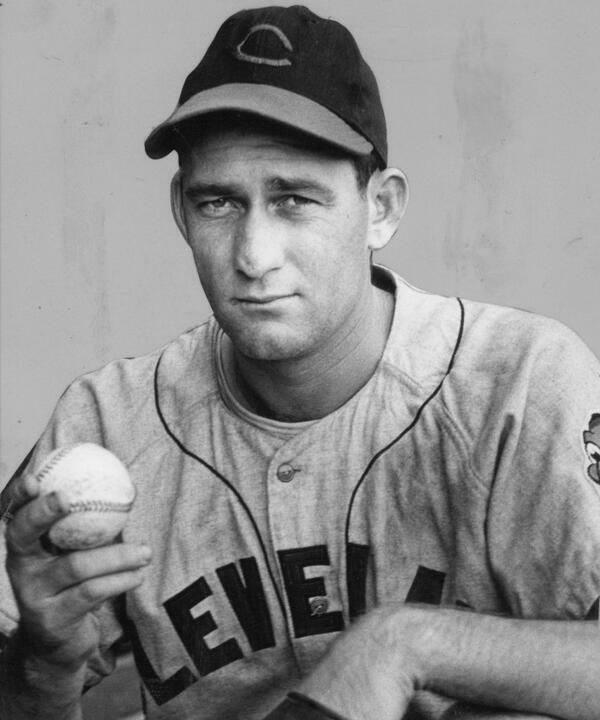 In his 15 years on the ballot, Hodges garnered 3,010 votes, the most of any player not in the hall. Hodges Hall of Fame fate is now in the hands of the Veterans Committee which has historically snubbed him in favor of contemporaries who were still alive. Pee Wee Reese was a Brooklyn teammate of Hodges for a dozen seasons. The two appeared on the same Hall of Fame ballot nine times. In eight of those nine, Hodges received more votes than the Dodger captain. That’s didn’t matter to the Veterans Committee which elected the former shortstop in 1984, just after his 66th birthday. Richie Ashburn experienced equally kind treatment from the committee after poor showings on the writers’ ballot. The center fielder for the Phillies received as much as 40% of the vote only once in 15 years. That’s a mirror image of Hodges’ who received at least 40% in 14 of his 15 years. Ashburn was 68 when Cooperstown beckoned; Hodges had been dead for 24 years. 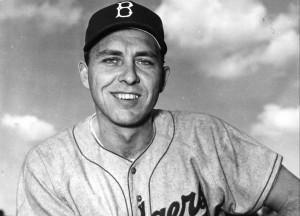 Gil Hodges was last eligible for consideration on the 2012 Veterans Committee Golden Era ballot. He came up three votes shy of election. A 16-member committee will meet at the 2014 Winter Meetings to vote. If twelve of them give Hodges the thumbs-up, he’ll receive his own plaque and take his rightful place alongside his Dodger teammates. This article says it all about the best first baseman of his era. 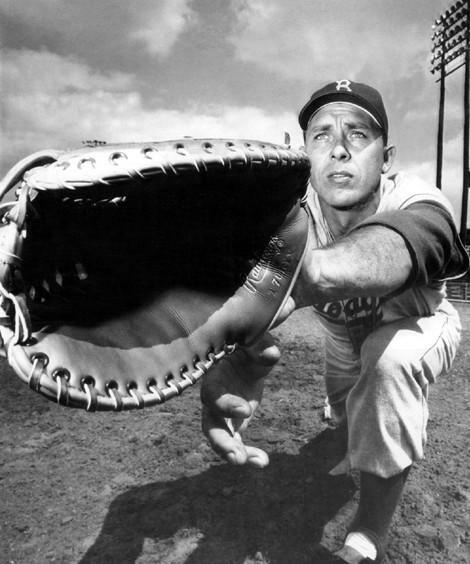 As time goes by, fewer and fewer baseball fans will know about Gil Hodges and how great a player he was. There have always been a lot of inconsistencies regarding the Hodges Hall of Fame vote. Also, ROy Campanella was elected from the great Brooklyn Dodger teams. Mr. Smiley hit the sweet spot for which I have been aiming, albeit haplessly, for many seasons. Right: The Great Gil’s three-base error was in dying way too soon. The Ghost of Gil Hodges continues to await justice, now long overdue and disappearing from view. So do countless students of the game who have taken a fleeting precious moment to compare the published standards for induction with the character and career of this amazing and unsung baseball hero. His exclusion is a blot upon the Hall. Thank you for such a telling and instructive article. Another Dodger worthy of consideration from that era was Carl Furillo, a .300 hitter who was among the best right fielders of his time. Lest we forget: it was Hodges who took a hapless NY Mets team from worst to first in 1969, beating a tremendously powerful Orioles team for the coveted WS gonfalon. It is unfathomable to me how he has been overlooked for so long. The jealousy of overweight sports writers who never played the game or were always picked last.